Famous Footwear does not release a sales ad every week, however they frequently run in-store & online sales even if it is not published in the ad. For the week of March 1, 2015, Famous Footwear has not released any coupons or deals. 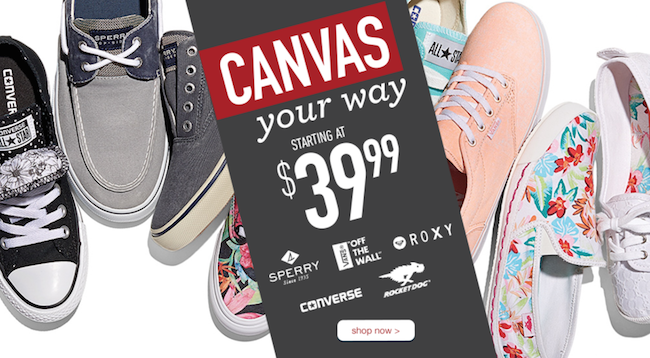 Famous Footwear is featuring: Canvas your way starting at $39.99 .